Elise Smith recently completed a PhD in the Applied Social Sciences Programme in collaboration with the Bioethics Programmes in the Social and Preventive Medicine Department at the Université de Montréal. 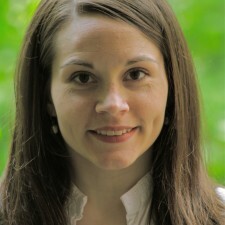 Her doctoral research focuses on issues in publication ethics, specifically the fair allocation of authorship in multidisciplinary health science collaborations. Elise is broadly interested in research ethics, publication ethics, academic integrity, and bias in research (linked especially to gender, power and seniority). As a research assistant she participated in many projects linked to her interest including valorization (the sharing, secondary use and commercialisation of data and material collected for research purposes) and conflict of interest. She is an executive editor for the journal BioéthiqueOnline. This content has been updated on March 8 2018 at 12 h 07 min.